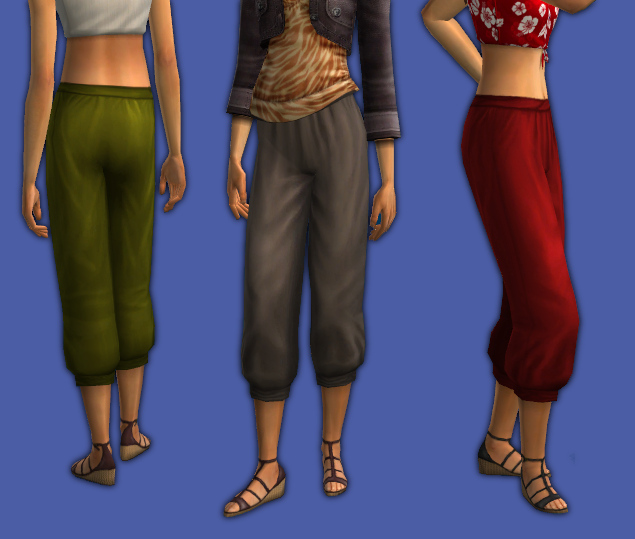 I was going to name these Angry Ninja Pants because I stole them from a ninja... outfit. Then I thought who wants to make a ninja angry? Not me! 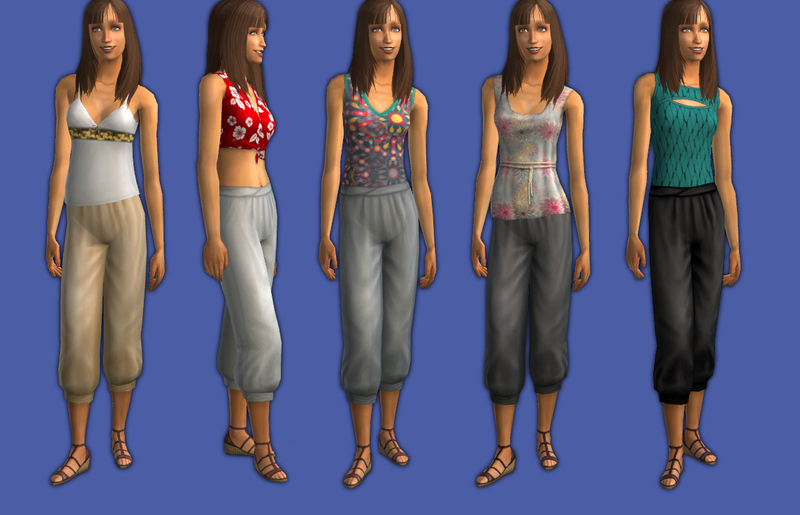 So I added Roman sandals and now they're Roman Ninja Pants. Roamin' ninja? They're for teen girls, young adult and adult women. All have curvy morphs, adults have a preg morph. Ten colors. 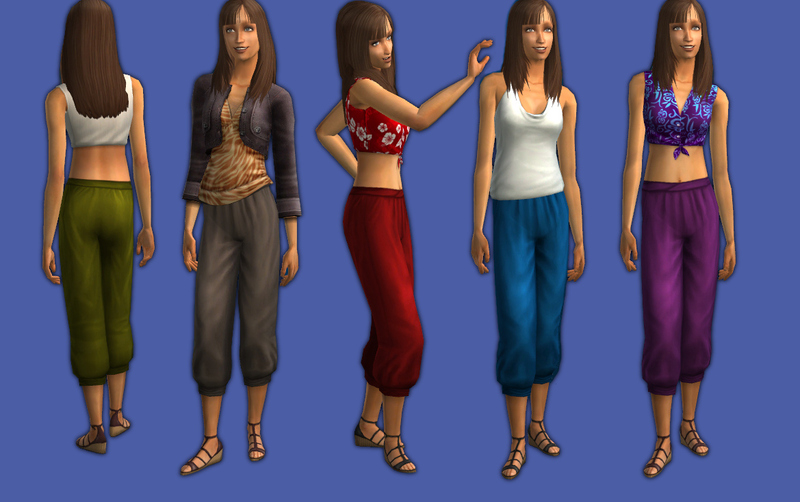 Teen recolors require adult recolors. 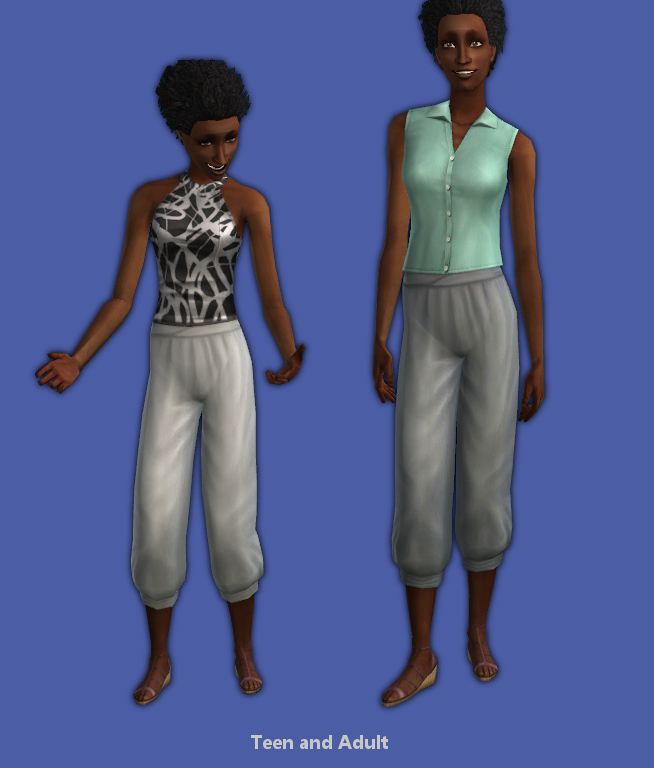 These recolors are not untuckable but the meshes do support slightly untuckable recolors (can remove the belt).